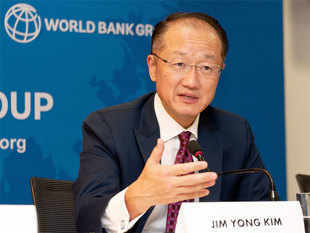 NEW DELHI: The World Bank signed a credit agreement of USD 50 million with the government today for education and skill training for minorities. Now, the question raises, where are such sickular benefits (minority benefits) for Hindus, Sikhs and other non Christian/Muslims in Pakistan, Bangladesh and rest of the world? "The Government of India and the World Bank today signed a USD 50 million credit for the Nai Manzil: The Education and Skills Training for Minorities Project to help young people from minority communities complete education and gain from market-driven training programmes with the aim of improving their employment outcome," World Bank said in a release. The project will support the government's national Nai Manzil (New Horizon) scheme, which was launched in August this year. The project will reach out to the disadvantaged youth from minority communities and support their enrolment in open schooling as well as provide hands-on vocational training. It will also provide post-placement support to assist them in finding sustainable employment, read the statement. "Interventions under this project will support the Nai Manzil Scheme in improving the employability and performance of minority youth in the labour market," said Raj Kumar, joint secretary, Economic Affairs in the Finance Ministry. The loan agreement was signed by Kumar and World Bank's Michael Haney, the operations advisor in India. Credit will be facilitated by the World Bank's concessionary lending arm, International Development Association (IDA). The loan carries a maturity of 25 years, including a 5-year grace period.